Patrick Dorinson is a veteran of the political wars, radio talk show host and commentator who unlike many so-called pundits, has actually been in the arena and has the battle scars to prove it. He has been on both sides of the aisle and in the aisle itself, having worked over the last 25 year for Republicans and Democrats in both politics and government. He now is a proud independent and paraphrasing the words of Marx-Groucho not Karl-says he will not join any political party that would have someone like him as a member. Patrick's unique political journey has been a search for real leaders, regardless of party, to move America forward but says in frustration, "I have chased more false prophets than the ancient Hebrews in the Old Testament". He is still searching and doesn't expect the 2012 election will end his search no matter who wins. After all these years, he has returned to where he began his political odyssey at age 12 as a Goldwater Conservative. Like Goldwater, Patrick believes in limited government in all things and the basic right of all Americans to live their lives as they see fit as long as they abide by the laws of the land. Or put another way, government should keep their hands off the public's wallet and their nose out of folk's private lives. Patrick's cowboy wisdom will make you laugh, make you cry, and most of all, it will make you think. If you've had enough of the bloviating blowhards who won't admit how America got into this mess, or explain how we'll get out of it, this return to simple common sense is needed now more than ever. Patrick Dorinson is a columnist for the FOX News.com Opinion on the FOX News website and regular contributor to "The Arena" on POLITICO the #1 political website in the nation. He is the resident political analyst for Morning News on Newstalk 1530 KFBK radio in Sacramento, California. He also appears regularly as a commentator on local television. Mr. Dorinson has appeared on Sean Hannity's Great American Panel on the FOX News Channel and on Cavuto on the FOX Business Channel as well as on FOX News.com webcasts. He is host of weekly radio talk show, The Cowboy Libertarian with Patrick Dorinson. It airs Saturdays from 5 to 6PM Pacific on Newstalk 1530 KFBK. Dorinson lives on a 15 acre ranch in Nevada City, California with his wife Carol, is an avid student of the West and a pretty fair horseman. And he knows that when learning how to ride, the ground is the best teacher, having the broken bones to prove it. He enjoys working and riding alongside his friends in the ranching and cattle business whenever he gets the opportunity. And if he had his druthers and could find an outfit to hire him he would make his living on the back of a horse. 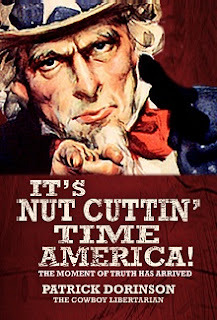 It's Nut Cuttin' Time is an insightful look at the last four years in America and sets the stage for the pivotal 2012 election and what is to come afterwards. 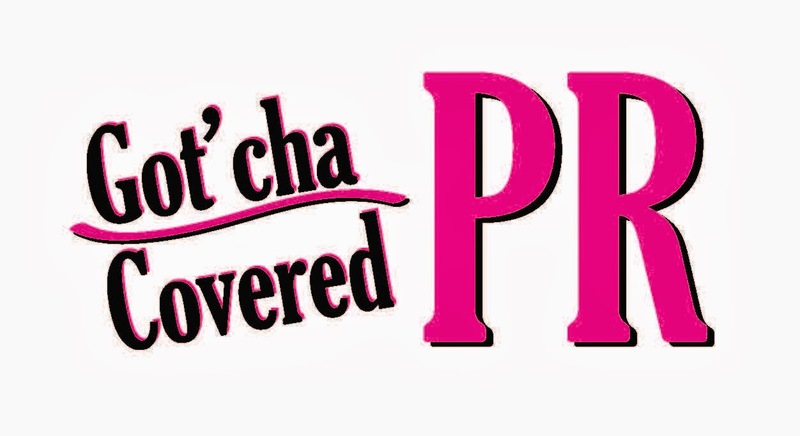 It takes aim at the preening politicians of both parties and also takes a swing at our self-indulgent celebrity-obsessed pop culture. Patrick Dorinson is a modern day Will Rogers with sharp elbows who's had an insider's view of the political system having been on both sides of the aisle and as he likes to say, "in the aisle itself". He now is a proud independent and paraphrasing the words of Marx-Groucho not Karl-says he will not join any political party that would have someone like him as a member. His unique political journey has been a search for real leaders, regardless of party, to move America forward but says in frustration, "I have chased more false prophets than the ancient Hebrews in the Old Testament". He says he is still searching and doesn't expect the 2012 election will end his search.